The Chief of Defence Staff is expected to render mature, single point advice while remaining a first among equals with the service chiefs. The word on the grapevine is that the post of Chief of Defence Staff (CDS), or at least its toned-down version, a Permanent Chairman, Chiefs of Staff Committee (PCCSC), is round the corner. Briefly put, the case for a CDS has been built around the argument that it is necessary to have a professional body of the highest standing to facilitate 'jointmanship' and render single-point military advice to the government on matters of national security. 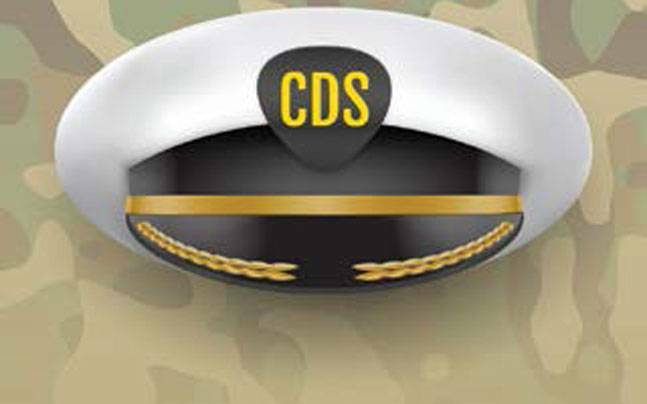 The CDS was intended to reconcile possible differences in service-specific opinions to enable the government to arrive at considered military decisions. He was also to be an important link in the chain of the National Command Authority and render advice on the various facets involved in using nuclear weapons. The institution of a CDS is best justified by the importance of strategising for a robust and cost-efficient national defence policy. Implicit in this is the role the CDS would play in fostering inter-services jointness in terms of budgeting, equipment purchases, training, joint doctrines and planning of military operations-an imperative of modern warfare. Hitherto, besides the uncertainties of the government about the CDS concept, there were also many concerns within the services themselves. There was internal resistance stoked by a perceived fear of the marginalisation of service headquarters and the dilution of the defence bureaucracy's grip on military decision-making. And with the principled repudiation of nuclear assets as weapons of war, it was argued that a collegium of the National Security Advisor, service chiefs and Strategic Force Commander could best perform the advisory role on nuclear strategy. Lastly, the CDS was regarded as the harbinger of joint theatre commands, perceived as unworkable under the prevailing military leadership which was neither enthusiastic nor adequately experienced in inter-services operational command. My response to such fears is that the existence of as many as 17 single-service Command HQs, contentious in their self-centric doctrinal focus and preparing for three different kinds of warfare, is little short of anarchy in this era of integrated military operations. Surely this must trump all objections to the CDS. That said, some peculiarities of our operational compulsions still need to be considered. Most of India's land borders remain in a continuous state of volatility due to infiltration, incursions and the looming threat of territorial encroachment. Under these conditions, the army has to be in a perpetual state of readiness. When it has come to fighting wars, the army has carried the primary responsibility. In terms of future wars too, it would be the tool as well as target of conventional and tactical nuclear strikes. In military operations astride our borders, therefore, the army would have to bear primary responsibility and it would be imperative for the army chief to exercise centralised control over his war wherewithal. As for possible out-of-area operations like in Sri Lanka and the Maldives, a joint command could well be created. The case I am making is that the CDS must be tailored and phased to meet our specific functional and operational requirements. It cannot be accomplished in a single all-encompassing step. And in service-specific operational and administrative matters, the primacy of the service chiefs would have to be retained. To start with, a newly-appointed CDS could control the Strategic Force, Andaman and Nicobar Command, the futuristic Special Forces, Cyber and Space Commands, the National Defence University and Coast Guard. Most significantly, the appointee would exercise control over capital acquisitions and all joint services matters like joint military doctrine, force structuring and training. NEW DELHI: Boss is always right. A top officer in the Indian Army learnt this rule after he ‘dared’ to question his senior in public, who had accused him of indulging in playing golf rather than focusing on duty. The corridors of Army Headquarters in Delhi are abuzz over the “unceremonious departure” of Lieutenant General R Ravindran, General Officer Commanding (GoC) Delhi Area, after he “corrected” his senior Lieutenant General K J Singh, Western Army Commander. The incident took place last week, when Singh and Ravindran were involved in a verbal spat at a gathering at an officer’s mess in Delhi cantonment. Singh reportedly questioned the functioning of the GoC and accused his officers of ‘playing golf’, instead of focusing on duty. Upset over the comments, Ravindran used a microphone to correct his senior. The GoC listed development works carried out by his officers. “Mr. Commander, my unit does not only play golf. We do many other things as well, which you are ignoring,” Ravindran, according to an eyewitness, said. An embarrassed Singh left the venue soon. Next day, Singh reportedly warned the officers at a conference and said, “The GoC will not speak a word until he is asked to do so.” Following this rap, Ravindran left the conference hall immediately. But this was not the end of the trouble for Ravindran. He received the marching order to Lucknow, two days after the incident. The order came within seven months of his posting in Delhi. The Army Headquarters, however, downplayed the order by calling it a routine issue. Sources said the spat and the transfer orders are interlinked. No officer is moved out or transferred before completing one year at a posting, they said. The tiff between two officers was simmering for the past two-three months over several issues, especially on financial matters. Ravindran, whose integrity is beyond doubt in Army circles, refused to buckle under pressure from the top officers, according to an officer of the Delhi Area. Notably, Ravindran was awarded Commendation Cards for his service on the Republic Day this year. Dr. T.X. Hammes is a Distinguished Research Fellow in the Center for Strategic Research, Institute for National Strategic Studies, at the National Defense University. The convergence of dramatic improvements in the fields of robotics, artificial intelligence, materials, additive manufacturing, and nanoenergetics is dramatically changing the character of conflict in all domains. This convergence is creating a massive increase in capabilities available to increasingly smaller political entities—extending even to the individual. This new diffusion of power has major implications for the conduct of warfare, not the least of which are the major hazards or opportunities that it presents to medium and even small powers. The outcome will depend on the paths they choose. Last Monday, the website The Intercept started publishing larger batches of documents from the Snowden trove, so they can now also be examined by the public. It’s a new phase after previously documents were generally disclosed as part of journalistic reports, but the number of such publications steadily declined over the last two years. For how it was to work with the Snowden documents can be learned from an interesting interview with two journalists from the German Magazine Der Spiegel. They not only published a whole range of articles based upon the Top Secret NSA documents, but also a book which is much more informative than that of Glenn Greenwald. Afghanistan is holding the Pakistani military responsible for the continued Taliban violence in Afghanistan. Pakistan refuses to shut down the Afghan Taliban in southwest Pakistan and says it will not pressure the Afghan Taliban to negotiate a peace deal unless Afghanistan shows it is decisively defeating the Taliban militarily. The Pakistani attitude has not just made the Afghans angry, but the United States and India as well. In response the Americans have cut their military aid to Pakistan, which includes halting sales of F-16s. This tension has been getting worse for over a decade, Afghanistan is becoming increasingly aggressive in demanding that Pakistan end the sanctuary it has provided the Afghan Taliban since 2002. Afghanistan points out that recent security agreements between the two countries obliges Pakistan to shut down all Islamic terrorist sanctuaries and Pakistan says it has done so even while the Afghan Taliban continue of operate openly in southwest Pakistan and in northwest Pakistan Islamic terrorist camps continue to train Pakistanis (and a few Indians) to become effective terrorists and cross the border into India to kill and terrorize. The Pakistanis lie just as unconvincingly to India about this. Afghan officials also accuse Pakistan of controlling much of what the Afghan Taliban does, including ordering terror attacks inside Afghanistan. If Pakistan continues to deny any involvement with all this Afghanistan is threatening to take the matter to the UN and other international tribunals. Meanwhile the main Afghan Taliban sanctuary remains in Quetta. This is the capital of Baluchistan and just south of the Taliban homeland in Kandahar and Helmand provinces. Quetta was always off limits to the American UAVs and remains a sanctuary despite constant and increasingly angry calls from the United States and Afghanistan to shut down the sanctuaries. Pakistan has long been dismissive of Afghan protests and either ignores them or dismisses them with curt denials. The reality is that Pakistan considers Afghanistan a client state. The Afghans are considered a collection of fractious tribes pretending to be a nation. Many Pakistanis believe Afghanistan must be controlled by Pakistan, as much as possible. This is why Pakistan created the Taliban in the mid-1990s. Then there is the economic dependence. With no access to the sea, most Afghan road connections to ports are via Pakistan. The Afghans have long resented this and are supporting a Chinese financed (and Indian backed) effort to upgrade a port in neighboring Iran and extend highways and railroads to the Afghan border. This will replace the dependence on Pakistani roads. As the investigation into the crash of EgyptAir Flight 804 continues and searchers begin to find evidence, the jihadist world has been strangely silent. Air traffic controllers lost contact with the aircraft early May 19 and we are now nearly outside the timeframe in which jihadist groups have ordinarily taken credit for attacks. The one obvious explanation for this is that a catastrophic mechanical or electrical failure brought down the aircraft rather than a bomb, but given all of the indications that point to an attack, it is worth exploring the lack of a claim of responsibility and what that means for attributing the cause of the crash. The primary jihadist actors with the capability and willingness to bring down Flight 804, the Islamic State and al Qaeda, both have sophisticated public relations and media outlets that they can use to quickly claim responsibility for attacks. Looking back to the last air disaster, Russian MetroJet Flight 9268, which went down over the Sinai Peninsula in 2015, the Islamic State claimed responsibility for that attack the same day. Islamic State also claimed other recent attacks in Brussels, Jakarta andParis within a day. Similarly, al Qaeda affiliates behind the series of attacks against West African hotels claimed those the same or the following day. The San Bernardino attackers attributed their actions to Islamic State just before carrying them out, but it took the group's central media arm three days to praise the attack - likely because it was conducted by a grassroots jihadist acting in their name. Arun Shourie is dead wrong. The other day this brilliant chronicler of the BJP’s past and present had fulminated, as cogently as only he could do, against the Narendra Modi political establishment. He was unsparingly hard on Modi for what he saw as untrammelled one-man rule, “a one-man presidential government” as he put it to a TV interviewer. That indictment was valid till recently. It no longer seems to hold. The Prime Minister is no longer the only person who gets to set the tone of his administration. He now has to share the honours and the limelight with Dr Subramanian Swamy, newly nominated to the Rajya Sabha. Now, it is no secret that not many, including the Prime Minister, were wild with excitement at the prospect of Dr Swamy’s arrival in the Rajya Sabha. But he has arrived —despite them, to put it rather mildly. The internal equations and working relationships are suddenly in turmoil. These are the ruling party’s private affairs. But what was evident was that it was Dr Swamy who shaped the political mood during the second half of the just-concluded budget session. So acrimoniously Swami-fied had the mood become that the government’s parliamentary managers found themselves forced to cut short the Lok Sabha session by two days. Indian Naval Ships Delhi, Tarkash and Deepak under the command of Flag Officer Commanding Western Fleet, Rear Admiral Ravneet Singh, NM entered Manama on 16 May. During the visit, the crew of IN ships will undertake professional interactions with the Royal Bahrain Naval Force (RBNF) pertaining to nuances of maritime operations, including means of combating maritime terrorism and piracy. In addition, calls on senior Government and military authorities, sporting and cultural interactions and sharing of best practices, aimed at enhancing cooperation as well as strengthening mutual understanding between the two navies, are also planned. The visiting IN ships are also likely to conduct exercises with the RBNF. The current four day visit by IN ships will facilitate sharing of best practices, enhance maritime cooperation and evolve a shared understanding of the maritime security challenges, between the Indian Navy and the Royal Bahrain Naval Force. It will further bolster the strong bonds of friendship between India and Bahrain and enhance the security and stability in this vital part of the Indian Ocean Region. INS Delhi is commanded by Capt Sandeep Singh Sandhu, INS Tarkash is commanded by Capt Pradeep Singh, NM and INS Deepak is commanded by Capt Sujit Kumar Chhetri. Bilateral relations between India and Bahrain are characterised by strong bonds of friendship based on cultural and economic ties dating back to ancient contacts between the Indus valley civilization in India and Dilmun civilization in Bahrain. Presence of over 350,000 Indian nationals, comprising nearly a third of Bahrain’s total population is an important facet of this strong bilateral relationship. High level visits from both sides, rising trade and investment and growing convergence on counter-terrorism and security issues has provided new impetus to this strong and age-old relationship. IN ships Delhi, Deepak, Trishul and Tabar last visited Manama in September 2015. A delegation from the Royal Bahrain Naval Force also participated in the recently concluded International Fleet Review at Visakhapatnam, India. A former British civil servant, the late Olaf Caroe in his seminal book, Wells of Fire, has illustrated the compelling logic of geography to merit an early development of Chabahar port. Chabahar is the geographical point where the Persian territory ends beyond the Gulf of Oman, which constituted the erstwhile frontier of India (now Pakistan). Caroe also documents the Russian great game to reach the warm water ports of Indian Ocean and how they sent their transport officials to look for a port that could best serve their interests. The Russians, probably harangued by the extreme heat of the Baluchistan plains, chose the cool and temperate Chabahar as their preferred port. Caroe writes about the visible presence of Indians in all the major and minor Gulf ports and also notes the presence of Arabs and Persians in Indian bazaars. It was impossible, according to him, to get a correct perspective of the problems of the Gulf till this view included India that stood at the centre of the Indian Ocean. From this standpoint, the proposed Indian investment in Chabahar and signing of the trilateral treaty will not just open up a new trade route with Afghanistan, Iran and Central Asia, but it can also challenge Pakistan's influence in the Gulf region, where it is getting increased traction after China invested $46 billion to develop another Baluchi port, Gwadar, and helped lay out a 3,200-km economic corridor that links it to Kashgar in Xinxiang province. Afghanistan is being encouraged by Pakistan to trade from Gwadar as it is closer to Kabul (1,237 km) than Chabahar (1,840 km). A shorter distance to Gwadar does not build a compelling geopolitical case for Afghanistan as it perceives the Chabahar route as one that liberates their economy from the stranglehold of Pakistan. China is denouncing interpretations of its military operations in the East and the South China Sea contained in a new new U.S. Defense Department report that spotlighted a focus on cyberwarfare. The report “deliberately distorted” China’s defense policy and legitimate actions, spokesman Yang Yujun said in a statement posted Saturday on the Chinese defense ministry’s official feed on Weibo, the popular Chinese microblogging site. At issue is the Defense Department’s annual report to Congress on China’s capabilities, published Friday. China typically responds sharply to the U.S. assessments, and the 156-page document was released ahead of a visit to Vietnam and Japan this month by President Barack Obama amid increasing tensions between the U.S., China and Southeast Asian nations over sovereignty claims in the South China Sea. The report asserts that China’s military conducted cyber probes and intrusions against U.S. computer networks to support intelligence collection and electronic warfare. “China is using its cyber capabilities to support intelligence collection against the U.S. diplomatic, economic, and defense industrial base sectors that support U.S. national defense programs,” the defense department said in the report. Facing Off with China fullscreen Chinese Navy recruits in Quingdao, 2013. (Reuters) Share article on Facebook share Tweet article tweet Plus one article on Google Plus +1 Print Article Adjust font size AA by Tom Rogan May 20, 2016 4:00 AM @tomrtweets Four ways, short of war, to stop China’s imperialist island campaign On Tuesday, two Chinese fighter jets conducted a high-risk close intercept of a U.S. Navy surveillance plane over international waters. Once again, China’s President Xi Jinping is playing with President Obama. The underlying reality is best evidenced by two specific agreements: China’s unenforceable, unbinding, and utterly unreliable pledge to peak its carbon emissions by 2030 (this commitment is a joke, but President Obama calls it one of his legacy accomplishments) and the ludicrous September 2015 deal in which China agreed to end commercial cyber-espionage (China has not fulfilled that agreement). But the most consequential issue in U.S.–China relations is the Communist nation’s island-construction campaign in the South and East China Seas. The U.S. still has credible means of action to deal with this issue. Here are four of them. First, the U.S. should lead our regional partners in a coordinated effort to go eye-to-eye with China’s military. While President Obama sees himself as the maestro of multilateral diplomacy, the reality of his diplomacy is disastrous. Around the world, by friend and foe alike, Mr. Obama is seen as fundamentally unreliable. It is in this vacuum that Chinese imperialism is rising. The longer America hesitates, the more entrenched China’s power becomes. As China continues to dredge, it gains more land for missile platforms, fighter/bomber aircraft, and other area-denial military capabilities. And at some point in the not so distant future, those platforms will be so significant as to preclude U.S. military access absent a massive force umbrella. 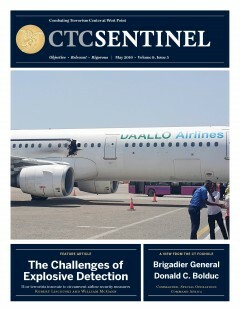 Abstract: The mid-air bombing of a Somali passenger jet in February was a wake-up call for security agencies and those working in the field of explosive detection. It was also a reminder that terrorist groups from Yemen to Syria to East Africa continue to explore innovative ways to get bombs onto passenger jets by trying to beat detection systems or recruit insiders. The layered state-of-the-art detection systems that are now in place at most airports in the developed world make it very hard for terrorists to sneak bombs onto planes, but the international aviation sector remains vulnerable because many airports in the developing world either have not deployed these technologies or have not provided rigorous training for operators. Technologies and security measures will need to improve to stay one step ahead of innovative terrorists. Given the pattern of recent Islamic State attacks, there is a strong argument for extending state-of-the-art explosive detection systems beyond the aviation sector to locations such as sports arenas and music venues. On February 2, 2016, two workers at Mogadishu’s international airport passed through security after placing a laptop[a] on the screening belt at an X-ray checkpoint. Their colleagues manning the X-ray machine had no idea the men had been recruited by the terrorist group al-Shabaab, and they failed to detect the explosive device hidden inside the laptop. Once safely through to the boarding gates at the terminal, the terrorist operatives handed the laptop to a Somali accomplice named Abdullahi Abdisalam Borleh who had been rerouted onto Daallo Airlines Flight 159 to Djibouti at the last minute after the Turkish airlines flight he was meant to take was canceled. Twenty minutes into the flight, the laptop exploded, blowing a large hole in the fuselage. Borleh was sucked out of the plane. Only the fact that the plane had yet to reach cruising altitude, and thus a high pressure differential between the air inside the cabin and outside, likely saved the lives of the more than 70 passengers on board. The pilots were able to make an emergency landing back at the airport. Metrics Watch: If the Dog Don’t Bark, How Do We Know We Are Winning Against ISIS? Some of our intelligence services think that the Islamic State is on the verge of collapse. They cite a drop-off in recruiting and deep financial problems due to coalition airstrikes on economic targets as well as some key senior leaders. Sometimes intelligence gets things wrong. In 1968, Gen. William Westmoreland and President Lyndon B. Johnson were under the impression that the Viet Cong and North Vietnamese were on the ropes. Instead, the Communists launched the Tet offensive, which struck nearly every city and province in Vietnam. Our measures of effectiveness were way off. How then do we gauge the effectiveness of our war effort? It hard to measure military effectiveness in a place without good human intelligence. Instead, intelligence agencies have to resort to things like body counts, bomb damage assessment, and electronic intercepts. All of these can be spoofed by a thinking and adaptive enemy. The Islamic State is a complex and adaptive system. It has no fixed center of gravity. When key leaders are killed, it seems that smarter and more agile subordinates rise to replace them. Queens, N.Y. -- Nothing struck me as especially out of the ordinary about the Bait uz Zafar Mosque in the somewhat suburban neighborhood of Hollis. This Ahmadiyya Muslim center tucked alongside New York City’s Grand Central Parkway resembled any other house of worship, and indeed was, at one point in time, a synagogue. There were, of course, the cameras, coupled with the hard-to-miss security presence at the front door. A reminder, perhaps, that the world has become an increasingly uncertain place for many Muslims, even those here in the West. Founded in India during the 19th century by religious leader Mirza Ghulam Ahmad, the Ahmadiyya Muslim community is viewed as heretical by much of the Islamic world. “Sunnis and Shias will fight each other, but align to fight us,” quipped my host, Salaam Bhatti. An attorney in private practice by day, Bhatti is also a passionate spokesman for the Ahmadiyya Muslim community. Boasting large numbers in India, Pakistan, and throughout much of Africa, the Ahmadiyya Muslim caliphate -- that’s right, they have one of those -- has found a spiritual and administrative home in the secular West, in addition to countries with a diverse religious makeup where Islam is rarely the predominant faith. Prime Minister Narendra Modi’s visit to Tehran—the second by a leader from an emerging power after sanctions were lifted (though months after Xi Jinping’s January visit)—has three primary objectives: first, to diversify (and increase) India’s oil and gas supplies; second, to enhance connectivity and trade with Afghanistan, Central Asia and beyond via Iran; and third—given Iran’s growing regional influence—to hedge its geopolitical bets in the region vis-à-vis other players, notably Pakistan, Saudi Arabia and the Gulf Cooperation Council members. A secondary objective is to balance China’s growing influence and also to engage the US in ensuring that India’s interests are protected in the region. For India’s objectives, the port of Chabahar has become the crucial gateway to step up relations with Iran. Located on the Makran coast, Chabahar is a relatively underdeveloped free trade and industrial zone, especially when compared to the sprawling port of Bandar Abbas further west. For India, Chabahar is of strategic importance for two reasons. First, it is the nearest port to India on the Iranian coast, which provides access to the resources and markets of Afghanistan and Central Asia. Second, it is located 76 nautical miles (less than 150km) west of the Pakistani port of Gwadar, being developed by China; this makes it ideal for keeping track of Chinese or Pakistani military activity based out of Gwadar. With the Prime Minister Mr Narendra Modi and the Defence Minister Mr Manohar Parrikar visiting West Asia the Government's Act West Policy seems to be getting into motion. Prime Minister, Shri Narendra Modi in a series of tweets on his Twitter Account, the Prime Minister said: "I am looking forward to my visit to Iran today and tomorrow, at the invitation of President Rouhani. India and Iran enjoy civilizational ties and have shared interest in the peace, security, stability and prosperity of the region. My meetings with President Rouhani and Hon’ble Supreme Leader of Iran will provide an opportunity to advance our strategic partnership. Enhancing connectivity, trade, investments, energy partnership, culture and people to people contacts would be our priority. I also look forward to the conclusion of the Chahbahar Agreement during my visit. I will visit Gurudwara in Tehran and inaugurate an International Conference on ‘retrospect and prospect’ of India and Iran relations." Meanwhile Defence Minister Shri Manohar Parrikar is on an official visit to the Sultanate of Oman from 20 to 22 May 2016 at the invitation of H.E. Bader Bin Saud Bin Harib Al Busaidi, Minister Responsible for Defense Affairs of Oman. During his visit, the Defence Minister met Deputy Prime Minister for the Council of Ministers His Highness Sayyid Fahd bin Mahmoud Al Said, Minister of Royal Office HE Lt Gen. Sultan bin Mohammed Al Nu’amani and held bilateral talks with Minister Responsible for Defense Affairs H.E. Bader Bin Saud Bin Harib Al Busaidi. During the meetings all aspects of bilateral defence cooperation including enhanced military to military exchanges were discussed. Both sides also exchanged views on regional developments of mutual interest. Shri Parrikar reiterated the high importance that India attaches to its strategic partnership with Oman. He conveyed his appreciation at the continued support rendered by Oman for the Operational Turnaround (OTR) of Indian Navy ships for anti-piracy patrols as well as technical support for landing and over flight of Indian Air Force aircraft. Japan Is Building Tiny Islands In The South China Sea. Here’s Why. In April 2016, Japan’s coast guard seized a Taiwanese fishing vessel some 170 miles east of Okinotori, revealing a long-ignored fact: Japan has been engaging in island building to expand its territorial claims since 1987. Okinotori is a tiny outcrop about the size of a small bedroom. Much of the islet lies below sea level, even at low tide – and it’s about 950 nautical miles south of Tokyo and 850 nautical miles east of Taipei. So why has the Japanese government reportedly poured $600 million over the past three decades to cultivate coral, erect steel breakwaters and build concrete walls on Okinotori, or “remote bird island,” in the Philippine Sea? With global sea levels rising, this might seem a futile effort. But Japan is eyeing the rich fisheries and mineral deposits around the islet, resources that could be worth hundreds of billions of dollars. And there’s a larger strategic claim – Okinotori is situated between the first and second island chain, a position that can deny the Chinese navy access into the Pacific. The islet is also close to sea lanes transporting materials that are vital to Japan’s economy. Rock or island? It matters. Reactive armor and cross-domain fire capabilities are just some of the items on the Army’s must-have list. When Lt. Gen. H.R. McMaster briefs, it’s like Gen. Patton giving a TED talk — a domineering physical presence with bristling intellectual intensity. Patrick Tucker is technology editor for Defense One. He’s also the author of The Naked Future: What Happens in a World That Anticipates Your Every Move? (Current, 2014). Previously, Tucker was deputy editor for The Futurist for nine years. Tucker has written about emerging technology in Slate, The ... Full Bio These days, the charismatic director of the Army’s Capabilities Integration Center is knee-deep in a project called The Russia New Generation Warfare study, an analysis of how Russia is re-inventing land warfare in the mud of Eastern Ukraine. Speaking recently at the Center for Strategic and International Studies in Washington, D.C., McMaster said that the two-year-old conflict had revealed that the Russians have superior artillery firepower, better combat vehicles, and have learned sophisticated use of UAVs for tactical effect. Should U.S. forces find themselves in a land war with Russia, he said, they would be in for a rude, cold awakening. “We spend a long time talking about winning long-range missile duels,” said McMaster. But long-range missiles only get you through the front door. The question then becomes what will you do when you get there. So how do you restore overmatch? The recipe that’s emerging from the battlefield of Ukraine, says McMaster, is more artillery and better artillery, a mix of old and new. Lieutenant General H.R. McMaster has a shaved head and gung-ho manner that only add to his reputation as the U.S. Army’s leading warrior-intellectual, one who often quotes famed Prussian general and military theorist Carl Von Clausewitz. A decade ago, McMaster fought a pitched battle inside the Pentagon for a new concept of warfare to address the threat from Islamist terrorists and insurgents in Afghanistan, Iraq and other trouble spots. Now, his new mission is more focused. Target: Moscow. POLITICO has learned that, following the stunning success of Russia’s quasi-secret incursion into Ukraine, McMaster is quietly overseeing a high-level government panel intended to figure out how the Army should adapt to this Russian wake-up call. Partly, it is a tacit admission of failure on the part of the Army — and the U.S. government more broadly. In the early months of 2003, the National Security Agency saw demand for its services spike as a new war in Iraq, as well as ongoing and profound changes in how people used the internet, added to a torrent of new agency work related to the war on terror, according to a review of 166 articles from a restricted agency newsletter. The Intercept today is releasing the first three months of SIDtoday, March 31 through the end of June 2003, using files provided by NSA whistleblower Edward Snowden. In addition, we are releasing any subsequent 2003 installments of SIDtoday series that began during this period. The files are available for download here. 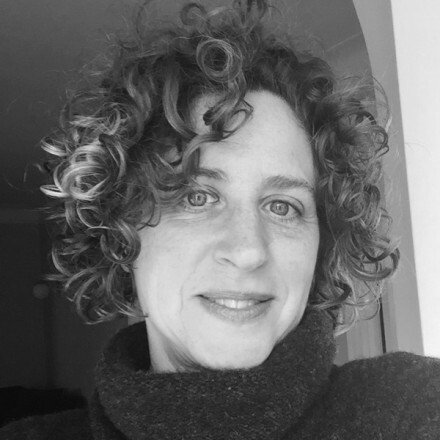 We combed through these files with help from other writers and editors with an eye toward finding the most interesting stories, among other concerns. SIDtoday was launched just 11 days into the U.S. invasion of Iraq by a team within the NSA’s Signals Intelligence Directorate. SID is arguably the NSA’s most important division, responsible for spying on the agency’s targets, and SIDtoday became, as Peter Maass documents in an accompanying article, an invaluable primer on how the NSA breaks into and monitors communications systems around the world. At the outset, SIDtoday declared that its mission was to “bring together communications from across the SIGINT Directorate in a single webpage” and that one of its key areas of focus would be providing “information on the Iraq Campaign and Campaign Against Terrorism.” And, indeed, the first issues of SIDtoday document how the agency paved the way for the Iraq War with diplomatic intelligence, supported the targeting of specific enemies in Iraq, and continued servicing existing “customers” like the Department of the Interior and the Department of Agriculture, whose appetite for signals intelligence grew sharply after the Sept. 11 attacks. John Sanders worked in the orange and grapefruit groves in Redlands, California, for more than 30 years. First as a ranch hand, then as a farm worker, he was responsible for keeping the weeds around the citrus trees in check. Roundup, the Monsanto weed killer, was his weapon of choice, and he sprayed it on the plants from a hand-held atomizer year-round. Frank Tanner, who owned a landscaping business, is also a Californian and former Roundup user. Tanner relied on the herbicide starting in 1974, and between 2000 and 2006 sprayed between 50 and 70 gallons of it a year, sometimes from a backpack, other times from a 200-gallon drum that he rolled on a cart next to him. The two men have other things in common, too: After being regularly exposed to Roundup, both developed non-Hodgkin lymphoma, a blood cancer that starts in the lymph cells. And, as of April, both are plaintiffs in a suit filed against Monsanto that marks a turning point in the pitched battle over the most widely used agricultural chemical in history. Until recently, the fight over Roundup has mostly focused on its active ingredient, glyphosate. But mounting evidence, including one study published in February, shows it’s not only glyphosate that’s dangerous, but also chemicals listed as “inert ingredients” in some formulations of Roundup and other glyphosate-based weed killers. Though they have been in herbicides — and our environment — for decades, these chemicals have evaded scientific scrutiny and regulation in large part because the companies that make and use them have concealed their identity as trade secrets. Dec. 2, 2015 We look into the future and forecast what the world will look like in a quarter of a century. We predict several disruptions in the global structure by 2040 and conclude that much of the instability over the next 25 years will be focused in the European and Asian continents. Here is a summary of some of our key predictions for the next 25 years. In this glimpse into the next quarter century, we forecast several significant changes and disruptions in the global structure, which will be summarized here. However, one fact that will not change is the United States’ position as the sole global power. Over the next 25 years, it will adopt a new strategy to maintain power at the lowest possible cost. This strategy will resemble isolationism, in that the U.S. will not be drawn into regional military conflicts in any significant capacity. The U.S. will support its allies with supplies, training and some air power, however, it will contain regional problems in Europe, the Middle East and Asia, rather than directly and forcibly engaging. This will prove to be a prudent strategy and help the U.S. sustain its global dominance. In Europe, the European Union as an institution will collapse or redefine itself as a more modest trade zone encompassing a smaller part of the continent. The current free trade structure is unsustainable because its members, particularly Germany, have grown overly dependent on exports. This dependency makes these economies extremely vulnerable to fluctuations in demand outside of their own borders. Germany is the most vulnerable country and will experience economic decline due to inevitable fluctuations in the export market. Consequently, by 2040, Germany will be a second-tier power in Europe. Other countries in Western Europe will be affected by its decline, leading Central Europe, and Poland in particular, to emerge as a major, active power. Relentless attacks on American military personnel at the height of the Iraq war made the U.S. intelligence community confront a dire problem: They needed real-time intelligence to take Al Qaeda off the battlefield and dismantle its bomb-making factories. This realization was the start of a highly secretive program, developed by the National Security Agency, to put NSA specialists on the battlefield in order to send “near real-time” intelligence to the troops so they could avoid ambushes and root out insurgents. For the first time, going in depth with Fox News, senior NSA leadership is speaking publicly about that program, called the Real Time Regional Gateway or RT-RG. The program, parts of which were classified until now, has dispatched thousands of NSA experts into war zones since 9/11. It has put those experts – from an agency most-known for its controversial surveillance programs – at grave risk across multiple theatres. But in the process, officials say, RT-RG has saved the lives of fellow Americans. Despite digital weapons becoming critical tools in every modern military, there's still no consensus when it comes to defining what amounts to an act of cyberwar. Even with hundreds of meetings, speeches, and conferences on the subject, there's still no clear definition of cyberwar. Increasingly, that ambiguity is leading to confusion about how to respond to digital assaults on governments, companies, and individuals. That's why a bill from Sen. Mike Rounds (R) of South Dakota that seeks to clearly define what constitutes cyberwar is so important. While this debate may seem like an esoteric discussion among policy wonks, it has very concrete real-world implications. Without it, the US will continue to fly by the seat of its pants in responding to a growing number of high profile breaches and other cybersecurity incidents. As Senator Rounds insinuates, the current vagueness around acts of cyberwar is not sustainable. Aside from the military implications, these definitions are important for deterrence, collaboration between the government and the private sector, and understanding trends in cyberspace. As is often the case, technology has outpaced our ability to formulate policies, theories, and strategies. A group claiming Islamic State ties is distributing manuals on a secure messaging app to help the militant group use common encryption tools to thwart government surveillance. Islamic State supporters have published a series of manuals to help the militants and their followers use smartphone encryption and other technologies to hide from government spy agencies. Though the militant group has previously released guides for using encrypted mobile apps, the new documents suggest that the terrorist organization is becoming increasingly sophisticated when it comes to the use of digital security. The primary goal of organizations implementing IoT strategy is to reach markets, with just 17% saying their use this for internal processes. Take our benchmark tool to see how your business compares. The Horizon Electronic Foundation, a group claiming Islamic State links, began distributing five Arabic-language manuals via encrypted channels on the messaging service Telegram last month. Security analysts say the releases come with the group increasingly worried about the threat of surveillance from Western intelligence agencies. The future of cyber warfare training looks like a model railroad where network security majors take turns turning off the lights. COLORADO SPRINGS, Colorado — In a small room at the U.S. Air Force Academy stands a scale model of a town, complete with power and other utilities, looking as if someone had upgraded their model railroad with radar towers and air defense equipment. The pieces are connected to tiny Raspberry Pi controllers running Modbus, a protocol commonly used in the gear that controls real-world utilities. Last week, Defense Secretary Ash Carter showed up to watch a group of cadets reverse-hack a tiny radar tower until they could turn it on and off at will. Last Monday, the website The Intercept started publishing larger batches of documents from the Snowden trove, so they can now also be examined by the public. It's a new phase after previously documents were generally disclosed as part of journalistic reports, but the number of such publications steadily declined over the last two years. Journalists from Der Spiegel were provided with several ten thousand digital documents through the documentary film maker Laura Poitras, who had been in direct contact with Edward Snowden.